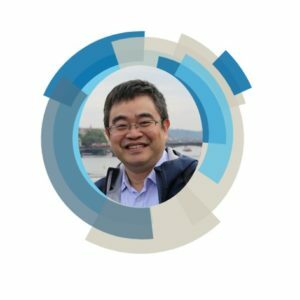 We are delighted to announce that Dr Gemma-Louise Davies (University College London, UK), Professor Ji Jian (Zhejiang University, China), Professor Shaoqin Liu (Harbin Institute of Technology, China) and Professor Jessica Winter (Ohio State University, USA) join the Journal of Materials Chemistry B team as Associate Editors. Gemma, Ji, Shaoqin and Jessica join Xiaogang Qu, Dal-Hee Min, Marc in het Panhuis, Guoping Chen and Jiang Chang as Associate Editors handling the peer review of submissions to the journal. Gemma-Louise Davies graduated from Trinity College Dublin (Ireland) with a Degree in Natural Sciences (Mod. Chemistry) and remained there to undertake a PhD in Inorganic and Materials Chemistry (awarded in 2011). 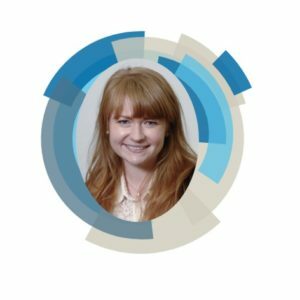 Following a brief industry-supported Postdoctoral Fellowship in Trinity College Dublin, Gemma-Louise moved to the University of Oxford as a Postdoctoral Research Associate before she was awarded a Global Research Fellowship at the University of Warwick in 2013. She joined the Department of Chemistry at University College London as Lecturer in Materials Chemistry and Director of the MSc in Materials for Energy and the Environment in July 2017. Gemma-Louise’s interdisciplinary research focusses on the design and development of nanostructured materials for medical imaging, diagnostic and healthcare applications, industrial application and also investigates the role and fate of nanomaterials in the environment. Ji Jian is a professor at Department of Polymer Science and Engineering in Zhejiang University. He received his PhD in the chemistry and physics of polymers from Zhejiang University in 1991. His research focuses on interfacial phenomena for biomedical implant, tissue engineering and nanomedicine. He has published 320 publications and 36 patents. He received several awards including the Distinguished Young Scholars Award of the National Science Foundation of China (2010), Chang Jiang Scholars by Ministry of Education (2015) and Fellow of The Royal Society of Chemistry (2016). Since 2017，he has been the director of Institute of Biomedical Macromolecule in Zhejiang University. Shaoqin Liu received her Bachelor degree and PhD degree from Wuhan University of Hydraulic and Electric Engineering in 1994 and from Changchun Institute of Applied Chemistry (Chinese Academy of Science) in 1999, respectively. She started her chemistry research career under Professor Shaojun Dong group at Changchun Institute of Applied Chemistry to develop polyoxometalates-based thin film. After her PhD degree, she moved to Max-Planck-Institute of Colloids and Interface as Humboldt Fellow. She developed polyoxometalates-based functional materials. In 2004, she joined National Research Council of Canada as NESRC fellow to study direct methanol fuel cells. In 2007, she started her academic career as a Full Professor in Harbin Institute of Technology. Her current research interests include preparation of nanostructured materials and their applications in energy, biosensing and cancer therapy. 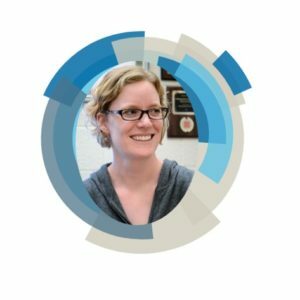 Jessica Winter is a Professor in the William G. Lowrie Department of Chemical and Biomolecular Engineering and the Department of Biomedical Engineering, Associate Director of the MRSEC Center for Emergent Materials at the Ohio State University, and Past Chair of the Nanoscale Science and Engineering Forum of the American Institute of Chemical Engineers. She received her PhD in Chemical Engineering from the University of Texas at Austin in 2004, and completed a postdoctoral fellowship at the Center for Innovative Visual Rehabilitation at the Boston VA Hospital in 2006. Her research interests include nanomaterials for cancer imaging, diagnostics, drug delivery; and cell migration in the brain tumor microenvironment. 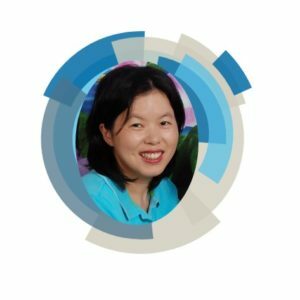 She is a co-founder and Chief Scientific Officer of Core Quantum Technologies, a company commercializing nanoparticle reagents for leukemia diagnostics. She has received the American Chemical Society Rising Star Award and the Golden Mouse Trap Engineering Rising Star Award; she was named to Top 25 STEM professors in Ohio; and is a fellow of the AAAS, AIMBE, and senior member of the IEEE and AIChE. Journal of Materials Chemistry B publishes novel work on high impact applications, properties and synthesis of exciting new materials for biology and medicine. Submissions to the journal should contain chemistry in a materials context. Our latest Impact Factor is 4.776*. As a society journal, we are committed to supporting the materials community – benefitting you and future generations of materials scientists. Keep up-to-date with all articles published in Journal of Materials Chemistry B with our monthly table-of-content e-alerts and read our latest papers on our website. This annual lectureship, established in 2010, honours early-career scientists who have made a significant contribution to the field of materials chemistry. The Lectureship recipient receives £1000 to cover travel and accommodation costs to attend and present at a leading international meeting. The recipient is also invited to contribute an article to one of the Journal of Materials Chemistry journals and to receive a complimentary back cover for the issue in which the article appears. Last year’s winner, Serena Corr, delivered the 2017 Journal of Materials Chemistry Lectureship at the 2018 MRS Spring Meeting & Exhibit; and you can read her invited article here. Be actively pursuing an independent research career within materials chemistry. Be at an early stage of their independent career (typically this will be within 10 years of completing their PhD, but appropriate consideration will be given to those who have taken a career break or followed a different study path). Have made significant contributions to the field of materials chemistry. Self-nomination is permitted, and all those nominated in 2017 will automatically be reconsidered this year. As part of the Royal Society of Chemistry, we believe we have a responsibility to promote inclusivity and accessibility in order to improve diversity. Where possible, we encourage each nominator to nominate both a female and a male materials chemistry researcher. You are welcome to circulate this information widely and please do ask for nominations from your colleagues and nominate researchers yourself. The Journal of Materials Chemistry Executive Editorial Board will select and announce the Lectureship winner, in autumn 2018. Selection is not based simply on quantitative measures. Consideration is given to all information provided in the letter of recommendation and candidate C.V., including research achievements and originality, contributions to the materials chemistry community, innovation, collaborations and teamwork, and publication history. Our first Journal of Materials Chemistry A Editor’s Choice collection highlights the recent advances in solar fuel generation and photocatalysis research. Journal of Materials Chemistry A’s Associate Editor Frank E. Osterloh (University of California, Davis, USA) has gathered together the journal’s most outstanding recent papers on solar fuel generators and photocatalysts. Browse the full Editor’s Choice collections here: https://rsc.li/PhotoCat. Articles in this collection are free to access upon registration until the end of June. Enjoy reading this Editor’s Choice collection on recent advances in solar fuels and photocatalysis research. The 8th edition of Graphene Conference series, the largest European Event in Graphene and 2D Materials, will be organized in Dresden (Germany) from the 26 – 29 of June 2018. Over the past 7 editions, the Graphene Conference has strengthened its position as the main meeting point of the Graphene community worldwide. A fantastic line-up of speakers is confirmed, including plenary lectures from Professor Albert Fert and Professor Philip Kim. Visit the website for a full list of plenary, keynote, and invited speakers. In this edition, the Graphene 2018 organisers (in collaboration with several institutions and companies) will offer awards to the best posters and oral presentations. Nanoscale and Journal of Materials Chemistry C are delighted to contribute RSC book vouchers to these awards. Only PhD students will be eligible to receive awards. Please visit the conference website for further details. Abstract submission for posters finishes 18 May 2018 so don’t miss out on the chance to present your excellent graphene work! The Journal of Materials Chemistry family of journals is proud to support the Recent Appointees in Materials Science 2018. The Recent Appointees in Materials Science (RAMS) 2018 is the only UK national conference specifically aimed at recent appointees. RAMS 2018 is supported by the Royal Society of Chemistry Materials Division and it has been running since 2010 at different UK locations including Lancaster, Coventry, Bath, Exeter and now Cardiff. Cardiff University has taken the responsibility of organising it this year on the 10th and 11th of September 2018. The Conference aims to cover a broad range of subjects in Materials Science (from inorganic materials and functional nanomaterials, to biological, soft matter and electronic materials), to help recent appointees in academia and industry to build their national collaborative networks, exchange experiences and benefit from peer support. In addition our colleagues from Chemistry are organising Recent Appointees in Inorganic Chemistry (MICRA) 2018 and they are holding their event at the same time and venue as (RAMS) therefore this will be an amazing opportunity in terms of networking. Read this Themed Issue featuring the most recent and influential work from world leading researchers working in organic semiconductors, recently published in Journal of Materials Chemistry C in tribute to the fifty-year research career of Professor Fred Wudl. Professor Fred Wudl is one of the pioneers in organic semiconductors with a lasting influence on the field of organic electronics. This issue honours his contribution to the field of organic semiconductors, and is focused on the people who have worked with him over the course of his career. Guest edited by Qichun Zhang (Nanyang Technological University), Dmitrii Perepichka (McGill University) and Zhenan Bao (Stanford University), this Themed Issue of Journal of Materials Chemistry C celebrates fifty years of Professor Fred Wudl’s contributions to the field of organic semiconductors. Read this Themed Issue featuring the most recent and influential work from the world leading community of researchers working in solid state chemistry and its applications, recently published in Journal of Materials Chemistry A in celebration of Professor Tony West. Professor Tony West was the founding Editor of the Journal of Materials Chemistry. This issue honours his contribution to the field of solid state chemistry, and is focused on the people who have worked with him over the course of his career. Guest edited by Caroline Kirk (University of Edinburgh, UK), Finlay Morrison (University of St Andrews, UK), Jan Skakle (University of Aberdeen, UK), Derek Sinclair (University of Sheffield, UK) and John Irvine (University of St Andrews, UK), the Themed Issue puts a spotlight on recent scientific developments in the area of solid state chemistry and highlights remarkable contributions made by the leading scientists in this important research area. Rukang Li, Guangjing Li and Colin GreavesJ. 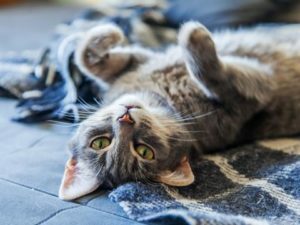 Researchers in Japan have made artificial cat blood by combining feline serum albumin (FSA) with haemoglobin. Cat blood is tricky to store. Blood transfusions between cats do happen but it’s very important to match the donor and receiver’s blood type, otherwise severe reactions can arise. Red blood cell substitutes for humans and animals are on many researchers’ agendas but the hunt is still on for a preparation that is free from drawbacks. Organized by the METAMORPHOSE VI AISBL (http://www.metamorphose-vi.org/) and hosted by Aalto University (Espoo, Finland), this Congress follows the success of Metamaterials 2007-2017 and continues the traditions of the highly successful series of International Conferences on Complex Media and Metamaterials (Bianisotropics) and Rome International Workshops on Metamaterials and Special Materials for Electromagnetic Applications and Telecommunications.